Nanette Lazina is a gifted strategist with a distinguished career leading high volume sales operations in support of company objectives, including market penetration, territory development and client/partner acquisition. Prior to joining SAP, Nanette spent 10 successful years at Systemax where she held a number of roles including sales and sales leadership. Nanette has been with SAP since 2008, initially spearheading the go-to-market launch of SAP's Software as a Service product, Business ByDesign. 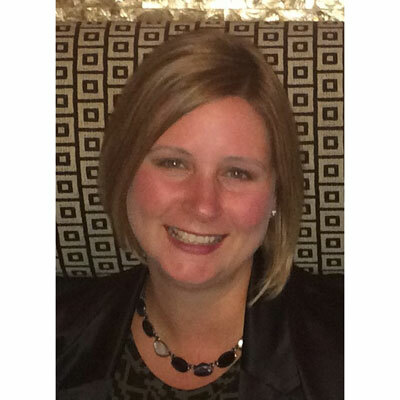 Three years into her tenure at SAP, Nanette joined our Channel team. Throughout her career, Nanette has always been passionate about building strong and trusted relationships. Her impeccable brand, expertise in partner management and passion for growing the indirect channel is widely recognized. Nanette has managed some of SAP's top Value Added Resellers in the U.S., directed General Business partner engagement in the Northeast Market Unit and served as a PBM team advisor prior to moving into her current role as Regional Director of Partner Management. Nanette resides in Long Island, New York with her husband of over 23 years and their teenage son. She enjoys cooking and volunteering in the nursery of their church. As SAP has been transitioning into the cloud, we've needed to help our ecosystem do the same. The DNA of our partners needed to be re-examined to assess their capabilities and desire to make the transition. We've had some tough conversations and have made some strategic changes in our coverage model for 2018. Our new model will allow us to dig deeper and wider to further penetrate and utilize our ecosystem appropriately. The software sales motion of the past is no longer, customers today do so much of their research online prior to ever reaching out to a vendor or a partner. Our channel will be taking a partner first, cloud first position. SAP is working hand in hand with our partners adopting the digital selling motion providing a true multiplier within NA. Donna Falta, is a women I have known for many years through our church. While our beliefs are the same, the rest of our lives are very different. Donna is a grandmother of 9 and has always been a stay at home mom while I am a mother of 1 and very focused on my career. Donna is a women of faith that is always there to help whether it's running an errand or a ear to listen with zero judgement. She also has a heart for our youth where she is a leader at our MS youth program. Be bolder. As a women in Corporate America you tend to want to be 100% proficient in something before you take that next step in your career while other see something in you long before you do. I would take more chances sooner. Digital marketing. As our industry has changed I see this as an area of opportunity to share this skill.